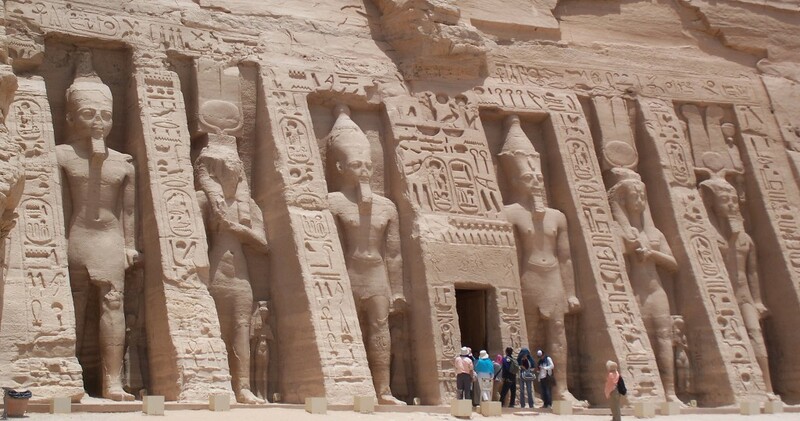 The Abu Simbel temples are two massive rock temples at Abu Simbe, a village in Nubia, southern Egypt. They are situated on the western bank of Lake Nasser. The twin temples were originally carved out of the mountainside during the reign of Pharaoh Ramesses II in the 13th century BC, as a durable monument to himself and his queen Nefertari, to commemorate his victory at the Battle of Kadesh. It took almost twenty years for it construction probably from 1264 BC to 1244 BC. 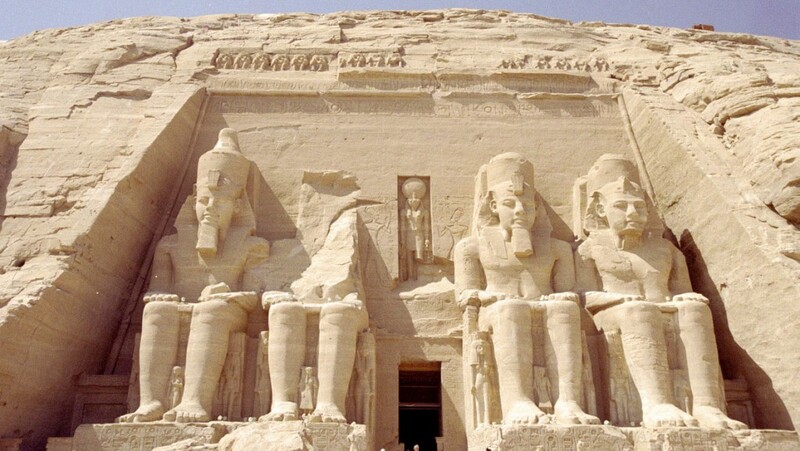 Historians say that the design of Abu Simbel expresses a measure of ego and pride in Ramesses. It is generally considered the grandest and most beautiful of the temples commissioned during the reign of Rameses II, and one of the most beautiful in Egypt. 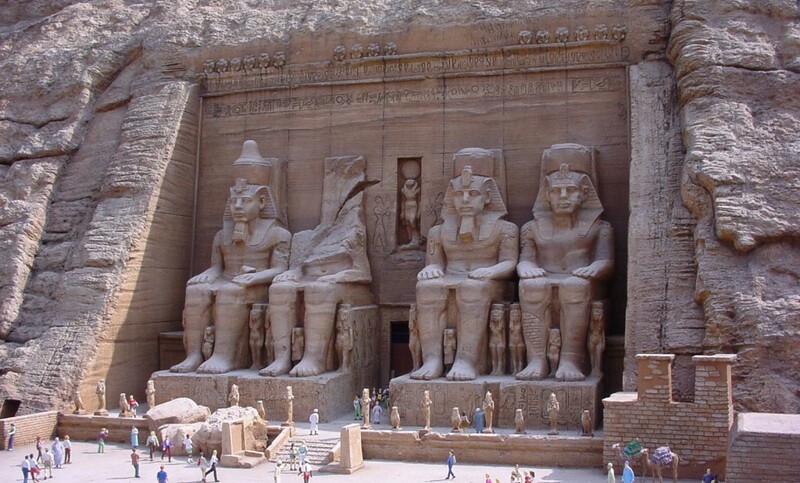 The Great Temple at Abu Simbel, which took about twenty years to build, was completed around year 24 of the reign of Ramesses the Great .It was dedicated to the gods Amun, Ra-Horakhty, and Ptah, as well as to the deified Rameses himself. The inner part of the temple has the same triangular layout that typical ancient Egyptian temples follow, with rooms decreasing in size from the entrance to the sanctuary. The temple is complex in structure and quite odd because of its many side chambers. One of the most amazing thing is that the axis of the temple was positioned by the ancient Egyptian architects in such a way that on these particular days; October 22 and February 22, the rays of the sun would penetrate the sanctuary and illuminate the sculptures on the back wall, except for the statue of Ptah, the god connected with the Underworld, who always remained in the dark. 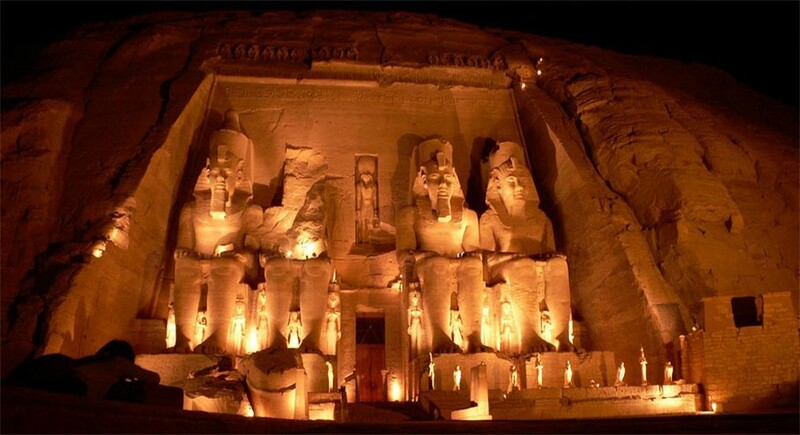 People’s fascination compels them to visit Abu Simbel to witness this remarkable sight, on October 21 and February 21. Explore and Watch More Beautiful Places On BeautifulGlobal.com - Beautiful Global Provide All Information About This Planet.